“At Kimberly-Clark our vision is to have an organization that looks, thinks and behaves like the people who buy and use our essential products in their daily lives. Our core consumers are women; they make the majority of buying decisions in their homes, so ensuring our workforce is reflective of our consumers and communities is a business imperative. Kimberly-Clark was first established in 1872 as a paper and newsprint company. Today, nearly one-quarter of the world’s population trust our brands like Andrex, Kleenex, Scott, Huggies, Kotex and Depend, and the solutions they provide, to make their lives better every day. In my role as the leader of Kimberly-Clark’s Office of Diversity and Inclusion, we work to foster an environment where our employees – and the broad perspectives they bring to work – allow us to make better business decisions, create innovative products and enhance the experiences of our consumers around the world. We achieve this through our “Unleash Your Power” initiative, where we focus on actively teaching our people to value diversity and inclusion in the culture of our business, and we advise and work with our senior leadership to make change happen. Since introducing D&I as a business strategy in 2009, we have more than doubled the number of women who hold director-level or higher leadership roles, and nearly half of our global top-talent pool inside Kimberly-Clark are women. This has provided greater access to talent in the marketplace. We’ve learned that achieving diversity is a journey, and we still have some ground to cover. But we are making progress in attracting talented women who want to grow and build their careers at Kimberly-Clark. To understand our consumers, we need an organization that looks, thinks and behaves like the people who buy and use our essential products in their daily lives. Our core consumers are women; they make the majority of buying decisions in their homes. And globally, women control about $20T in annual consumer spending and about 83% of purchasing decisions for consumer-packaged goods. This means that diversity and inclusion have to be more than buzzwords at Kimberly-Clark. They must be rooted in our values. For 145 years, caring has defined our work as a company and our attitude as an employer. For Kimberly-Clark, caring (which we define as “respecting each other and caring for the communities where we live and work”) is at the heart of what we do and how we do it. Caring is one of our four core values and we are extremely proud of it. Our commitment to care for our employees, our consumers and our planet infuses our corporate decisions and our daily practices. A good part of our history is linked to understanding the personal care needs of women and being a champion for women’s rights. We helped change the attitudes of a generation of women by bringing the feminine hygiene conversation into the public. We broke social taboos and replaced them with honesty and understanding about women’s health and menstruation. Our products, Kotex, Poise, Depend and Silhouette, enable women to live lives to the fullest at every stage of life while Huggies supports moms and working mothers via its programs and resources. Diversity and the advancement of women not only aligns with our values, it just makes good business sense. Kimberly-Clark’s “Unleash Your Power” strategy was launched in 2009 and continues today. It is driven by the company’s vision for building a diverse and inclusive organization that looks, thinks and behaves like the consumers who use and purchase our essential products in their daily lives. “Unleash Your Power” includes other key elements as well: fostering global networking forums and mentoring relationships for women; promoting specific policies that enable work-life flexibility to attract and retain women in leadership roles; defining specific business and action plans for recruiting, developing and retaining talented women across the enterprise; and many others. D&I as a Leadership and Strategic Priority – Building a diverse workforce is a required leadership behavior at Kimberly-Clark. No team leader, including and up to the CEO, can be rated “exceptional” in an annual performance review without demonstrating exceptional performance in building diverse talent. Recruitment and Selection Initiatives – Recruitment at Kimberly-Clark seeks to identify candidates with the best fit for the position regardless of race, gender, physical abilities or age. Hiring managers and recruiters are trained on behavior based interview techniques to eliminate interview biases. With diversity in mind, Kimberly-Clark recruiters and hiring managers actively seek to have diverse slates and interview panels. Career Flexibility – Kimberly-Clark is committed to creating, executing and promoting innovative policies that support our employees as they balance work and family responsibilities. For Kimberly-Clark, caring is linked with fairness and a commitment to ensure that workplace policies and practices are available to all employees including mothers, fathers, parents of children with special needs, employees caring for dependent adults, employees with disabilities, and employees who work in hourly or shift positions. Development and Employee Resource Groups – Kimberly-Clark sponsors an array of development and active employee resource groups that provide programming and resources our employees. These groups include Women’s Interactive Network (WIN), and the company leverages Employee Resource Groups (ERGs) to in the areas of recruiting, development and engagement/retention of employees. I’m specifically proud of the fact that our work in this area was the recipient of the Catalyst Award in 2014, an award that recognizes organizations that accelerate progress for women through workplace inclusion. We have to be intentional about developing women leaders – it’s the only way to truly drive change in the workforce. That’s why being a member of the LEAD Network is so important to us. Through the various educational opportunities, mentoring programs, and experiences the LEAD Network offers, we are able to accelerate the development of our female leaders and strengthen our pipeline of talent. 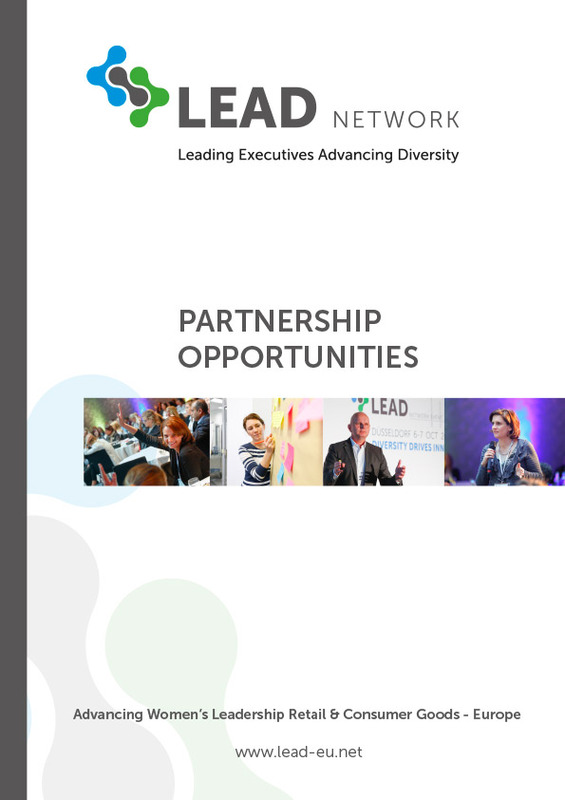 At the same time, the LEAD Network also fosters collaboration across the Consumer Product Goods industry which allows companies to join together to discuss women’s equality in the new millennium. 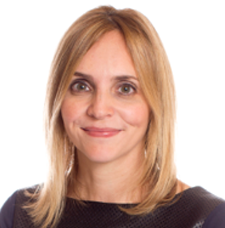 Our Chief Supply Chain Officer, Sandra MacQuillan, serves on the LEAD Advisory Board member to help drive progress and meaningful change for all women in the Consumer Product Goods workforce, especially those in Supply Chain where traditionally women are not as present in the areas of Procurement, Logistics, Manufacturing, Safety, Quality and Sustainability. By challenging the status quo together, we can make progress collectively and not as individual companies. Get involved! By developing ourselves and lifting the next generation of female leaders up, we will see more women in the boardroom, have better role models, and create a workforce where everyone is able to contribute at their highest level.